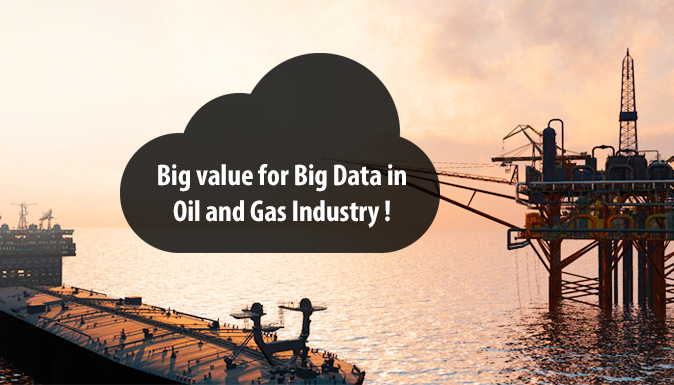 Big data is emerging technology in oil and gas industry. In oil and gas industry, drilling, exploration, maintenance, production all these activities produces very vast amount of data. Until recently it has been too vast to process efficiently. Also these industries are facing major challenges, the costs of extraction are rising and the turbulent state of international politics adds to the difficulties of exploration and drilling for new reserves. 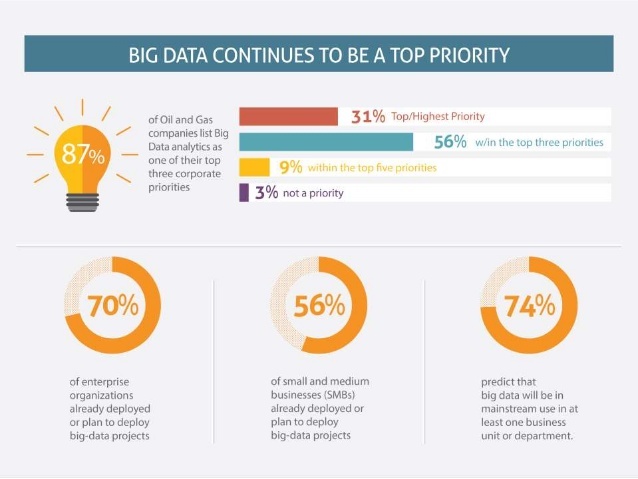 There are several areas where big data can be used to benefit oil exploration. Seismic waves monitors large amount of data during oil and gas exploration which can be used for discovering new oil deposits. In addition, weather, soil, and equipment data can be analyzed to predict the success of drilling operations and make intelligent decisions about drilling sites. This can have a direct impact on cost and revenue. Oil field managers need to analyze well data, seismic data, industry news and potentially social media to evaluate potential oil fields. They can also utilize that information to identify optimum oil drilling locations. The big data platform can be used to analyze geospatial data and other oil and gas reports to bid on new oil prospects. Analyzing seismic, drilling and production data is important in order to enhance oil recovery from existing wells. This data can help production engineers figure out when to make changes in the oil reservoir after some time, and when to make changes in their oil lifting methods. Cloud computing and big data techniques can be further be used to forecast oil production at wells. In order to identify potential drilling errors or equipment failures, sensor data from equipment and geological data can be analyzed to predict equipment failure and understand what equipment works best in which environment. Oil and gas companies need to identify events or patterns that could indicate security threat or cyber- terrorist act in order to keep their personnel, property and equipment safe. Predictive analytics is a main part of identifying patterns that can help detect these threats in advance. The big data platform can help in identifying threats in real time through machine learning and anomaly detection technique. By using big data from various sources anomalies in drilling can be identified in real time. So problems can be solved before they become very serious and drills can be shut down proactively before any environmental hazards. The big data can be used to increase environmental health and safety of oil rigs and drills through identification of patterns and outliers before any catastrophic incidents take place. The oil and gas industry is facing a new productivity transformation, where digital technologies help companies discover new ways to drive increased efficiency. Drone technology is already improving safety in the oil and gas industry by removing the need for workers to operate in high-risk environments. Some of the ways where drones are capturing new sources of data is pipeline surveillance, post hurricane analysis, flare stake inspection. There has been an aggressive introduction of user-friendly predictive modeling tools, which are offered either independently or as embedded features of big data solutions for the oil and gas sector. This will help in to accelerate decision making. Planning and forecasting of production data, data generated from well and set of data produced during seismic acquisitions are examples of advanced analytics. So basically advanced analytics helps in enhancing exploration and drilling efforts. 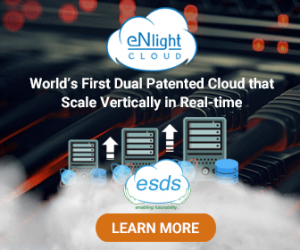 Emerging cloud computing technology has enabled oil and gas organizations to increase their efficiency and reduce their cost of deploying the big data solution. So organizations are investing in cloud computing to store the data of their application, infrastructure automation and collaboration. Royal Dutch Shell is one of the largest oil and gas companies which also include BP, Chevron, Total and ExxonMobil – and the world’s fourth largest company by revenue. For some time now it has been developing the idea of the “data-driven oilfield” with the help of cloud computing and Big data, in an attempt to bring down the cost of drilling for oil. Shell uses fiber optic cables, created in a special partnership with Hewlett-Packard, for these sensors, and data is transferred to its private servers, maintained by one of the largest cloud provider. So finally we can say that by applying Big data and applying advanced computer analysis to ever growing amount of digital information that we can collect and store from oil and gas industry can grow faster. 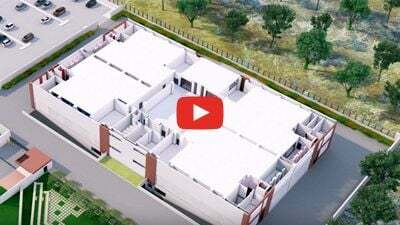 Marketing Executive at ESDS Software Solutions Pvt. Ltd. The New Era of Data Crunching Power Houses, Behind The Animated Film Industry ! 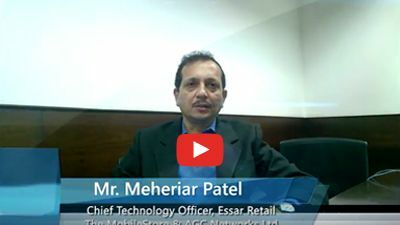 The Cloud Climate : Perfect for flourishing an E-commerce Industry !